Oh my! Great watch and great pics. Nice pictures of a great watch. 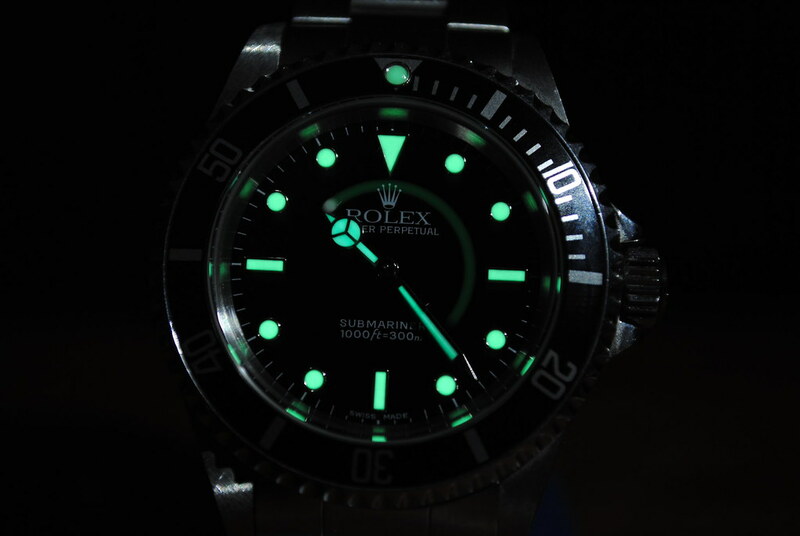 I don't own a Rolex but that is the model I'd like to get. The one with the chili peppers was actually shot from a camera phone. It came out better than I expected. I wish my photography could do it justice. Congrats on the ND Sub! Excellent photos of a beautiful watch. Hopefully Rolex can get some original designs instead of ripping off Invicta and the ProDiver!! watchcollector1968 wrote: Excellent photos of a beautiful watch. Right out of the Boskoe Online Skool of Horological Photography Handbook! CrazyFingers...very nice pictures!!! Beautiful Rolex.....a classic watch!! TTall4myowngood wrote: CrazyFingers...very nice pictures!!! 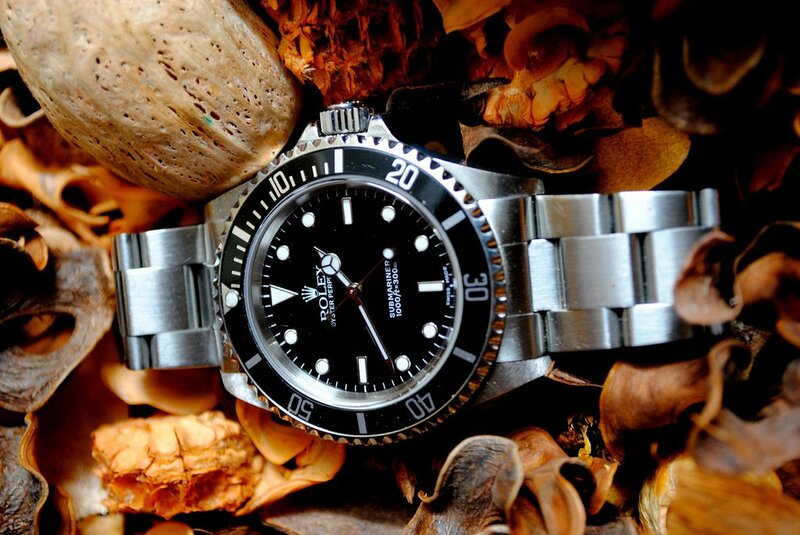 Beautiful Rolex.....a classic watch!! 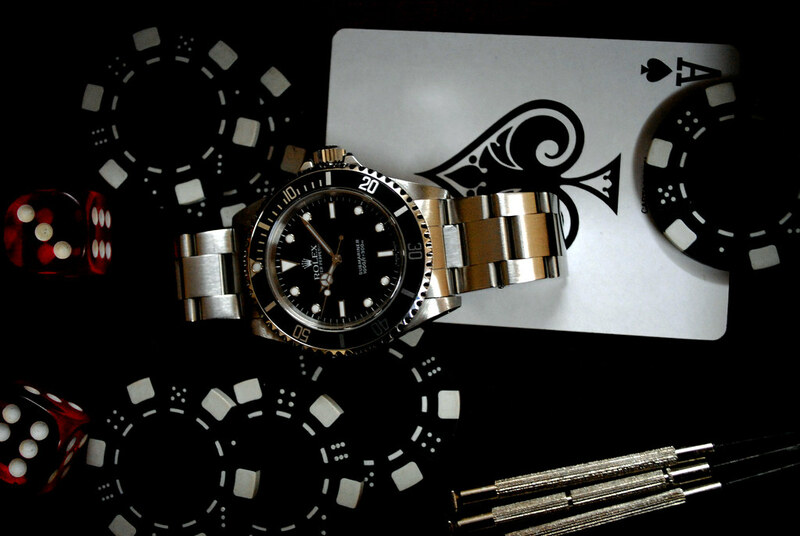 You can't do much better, either with the watches or photography. VERY nice. 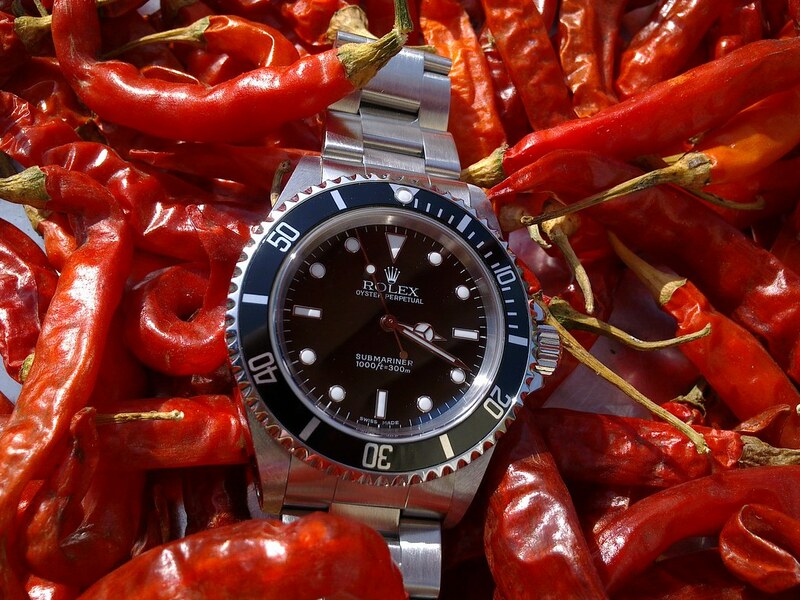 Rolex Sub is just an overpriced 8926! 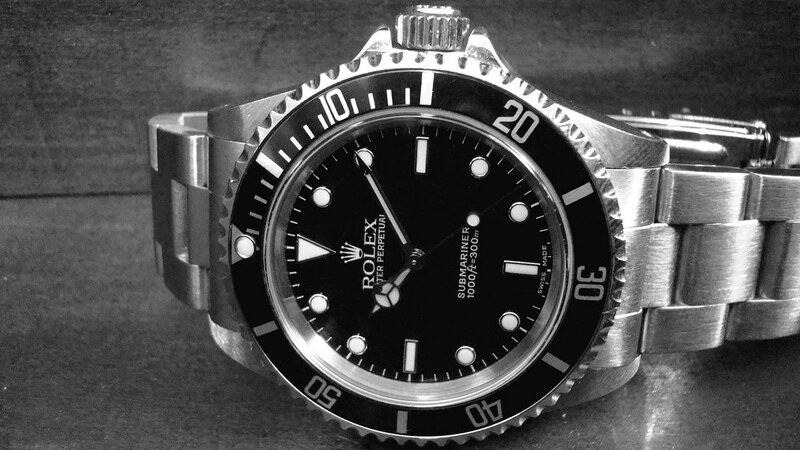 boscoe wrote: Rolex Sub is just an overpriced 8926!